Calling all residents, businesses, community groups and organisations, to play your part in transforming our town into a magical Christmas Experience for all who come and visit during the month of December 2016. We appreciate how busy everyone is, however we believe that with a little extra effort from all of us, we can sprinkle a little magic across our town and encourage friends and family to support local business by buying even some their Christmas gifts locally. Perhaps you would like to select a theme such as “Toytown” and decorate your buildings/shop windows/ blank windows around town with lights and colourful window displays. 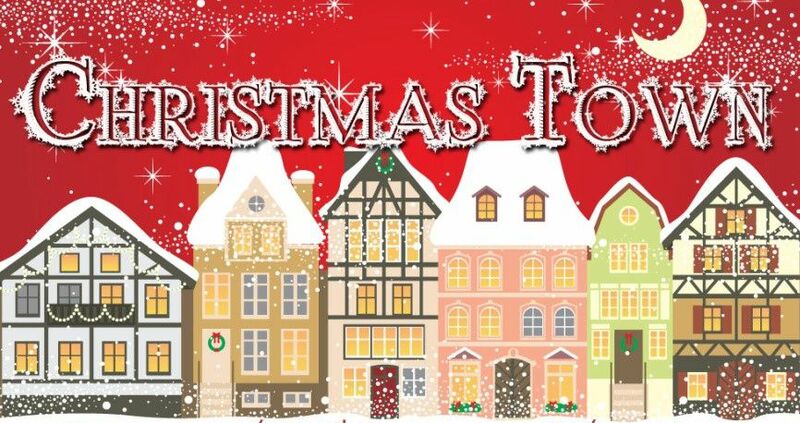 Tidy Towns judging of Christmas windows will take place on Friday December 2. Perhaps you would prefer to organise an event such as a Christmas themed adult or kiddies’ workshop between 10 a.m. and 12 p.m. on these days. Or maybe you would prefer to work with local teachers and school children to make lanterns they can carry as they lead Santa into town with an amazing Light Parade. Maybe your sports club would like to organise a Santa Run or nature walk for families on the launch weekend of December 3 and 4. Simple ideas which are well executed are the best. Please tell your friends and encourage everyone to come and get involved in making Thomastown Magical this Christmas Season. Christmas in TTown will kick off on the weekend of December 2/3/4 and we are waiting to hear from you with your ideas of the kinds of things you would like to organise to add a little magic to this Christmas Season. Expressions of Interest should reach us using the e-mails below by Friday 11th November 2016.